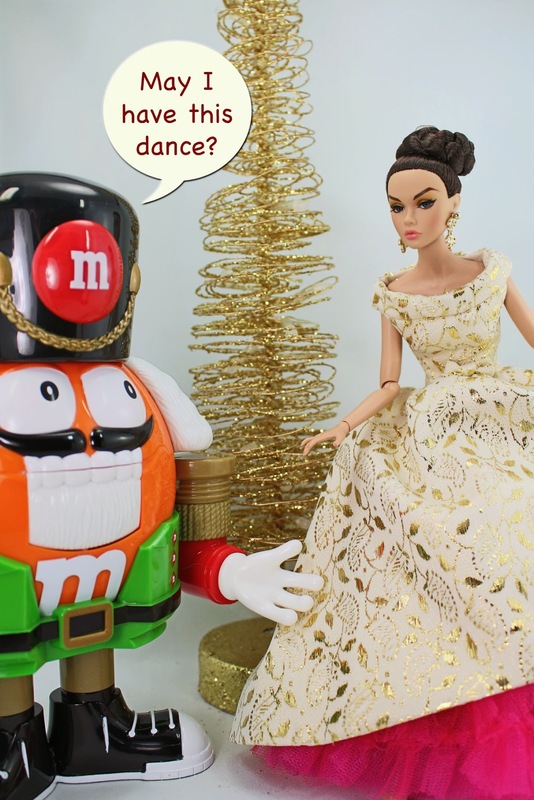 What's a Christmas line-up without a nutcracker or two making an appearance? This one in particular is quite taken with one of my Poppy Parker dolls. I must say that she's looking rather elegant in a dress that very much resembles a ball gown made for Francie in the Japanese market back in the 60's. Poppy has always reminded me of Francie though they look nothing alike. I suppose one reason is that Poppy's storyline takes place in Francie's time. 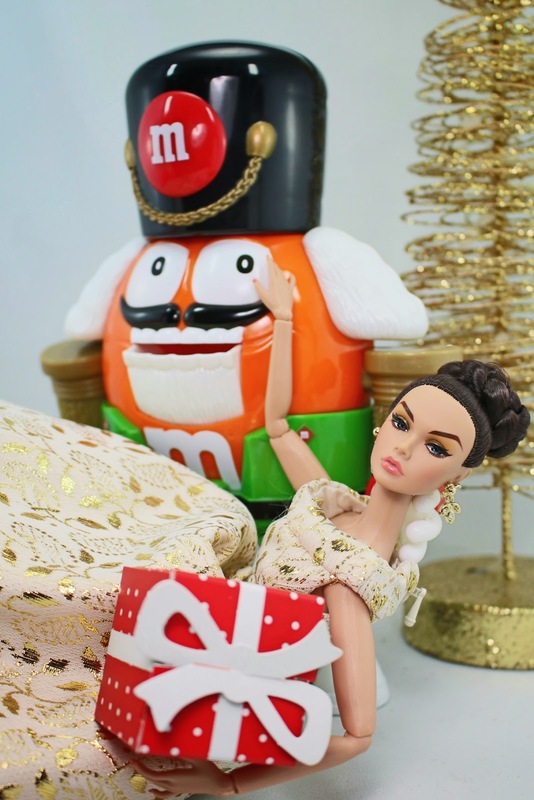 ....It looks like Poppy is just as taken with the orange M&M nutcracker....Or maybe she's just craving chocolate? So cute :-)! A great post!